Adam David Roth graduated from the University of Pittsburgh’s business dual-degree program with a bachelor’s in Communication and Rhetoric and Business Administration. He pursued his graduate studies at the University of Iowa, where he earned his M.A. and Ph.D. in Communication Studies and Rhetoric and a post-graduate certificate in interdisciplinary inquiry. 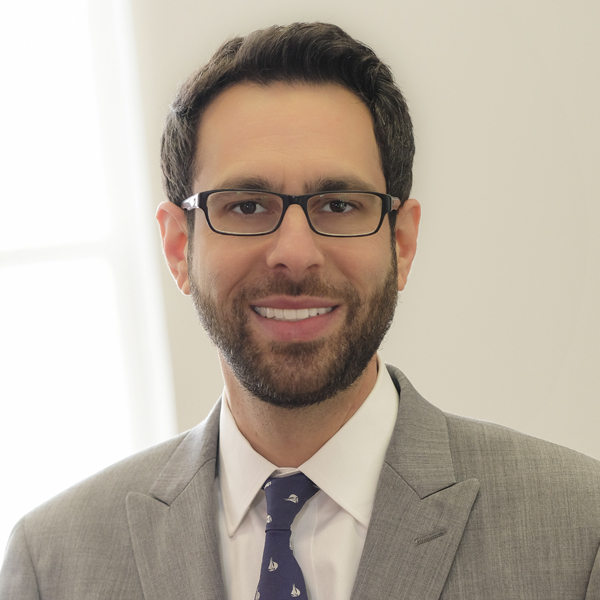 In 2007, Adam was appointed as an Assistant Professor and basic course director in the Department of Communication Studies at the University of Rhode Island. He was promoted to Associate Professor in 2013. In 2014, Adam was appointed interim director of the Harrington School of Communication and Media. In 2017, he was selected to become associate dean of the College of Arts and Sciences and permanent director of the Harrington School. Through an interdisciplinary approach to scholarship and teaching and a passion for experiential learning, the Harrington School is a global leader in communication and media research and education. As a teacher, Adam delivers a wide range of undergraduate classes, from public speaking, communication fundamentals, and organizational communication skills, to rhetorical theory, advanced rhetorical theory, and the ethics of persuasion, and graduate seminars on the rhetoric of medical discourses. His teaching has earned him several prestigious honors, including the Douglas Ehninger Award for Teaching Excellence and The University of Iowa Outstanding Teaching Award. Adam’s passion for teaching is motivated, in large part, by his active scholarly agenda. His research investigates the central role that rhetoric and persuasion play in the development of Western medicine—from the rise of the Hippocratics in ancient Greece, to the turf wars fought among various sects of healers in 19th-century United States medical history—and his more recent studies focus on the medicalization of a wide variety of social, cultural, economic, and political phenomena. Dr. Roth’s work is published in peer-reviewed journals and academic books, and is frequently presented at national and international conferences that are devoted to the study of rhetoric, communication, philosophy, and education. Recently, Professor Roth has been invited to present his research in Greece, Cyprus, Russia, and China, and has forthcoming publications and translations of his work in Russian and Greek. Abendschein, B., Giorgio, G., Roth, A. D., & Whalen, J. (2018). Asking big questions in the basic course. Basic Communication Course Annual (BCCA), 30, 61–75. Roth, A. D. (2017). Embodied discourse: Revisiting Plato’s stance on the connection(s) between rhetoric and medicine. Akropolis: Journal of Hellenic Studies 1, 55–71. Karno, V. & Roth, A. D. (2017). LIS education in an interdisciplinary frame: Integrating digital media into the ethics of digital personhood. DESIDOC Journal of Library and Information Technology, 37(1), 38–41. doi:10.14429/djlit.37.1.10861. Roth, A. D. & Zhang, H. (2016). A dialogue on traditional medicine: East meets west. China Media Research, 12(4), 85–93. Roth, A. D. (2013). Plato on the similarities between rhetoric and medicine. Plato Collection: Supplement to the Bulletin of the Russian Christian Academy for the Humanities, 14(1), 436–452. [Рот, Адам Д. Риторика во плоти: Платон о подобии между медициной и риторикой. Приложение к Вестнику Русской христианской гуманитарной академии] (translated and published in Russian). Roth, A. D. (2012). Transformative teaching; from classroom lectern to internet-based learning platforms. In K. M. Torrens & J. A. Amador (Eds. ), Taking your course online: An interdisciplinary journey (pp. 35–52). Charlotte, NC: Information Age Publishing. Roth, A. D. (2011). Rhetorical technology and the Hippocratic art and philosophy of medicine. In K. Boudouris (Ed.) Philosophy, art, and technology, studies in Greek philosophy series (pp. 345–356). Athens, Greece: University of Athens Ionia Verlag Press. Roth, A. D. (2010). Plato’s written conception of philosophy and education. Journal of Philosophy and History of Education, 60(1), 57–61. Roth, A. D. (2009). Following Plato’s advice: Pedagogy and technology for the Facebook generation. Journal of Philosophy and History of Education, 59(1), 125–128. Roth, A. D. (2008). Philosophy, rhetoric, and medicine in ancient Greece and today. In M. Adam (Ed.) Philosophy and the issues of our age. Studies in Greek philosophy series (pp. 207–221). Athens, Greece: University of Athens Ionia Verlag Press. Roth, A. D. (2003). Kairos and human agency. In K. Boudouris (Ed.) Polis and cosmopolis: Problems of a global era vol. II (pp. 145–152). Athens, Greece: University of Athens Ionia Verlag Press.